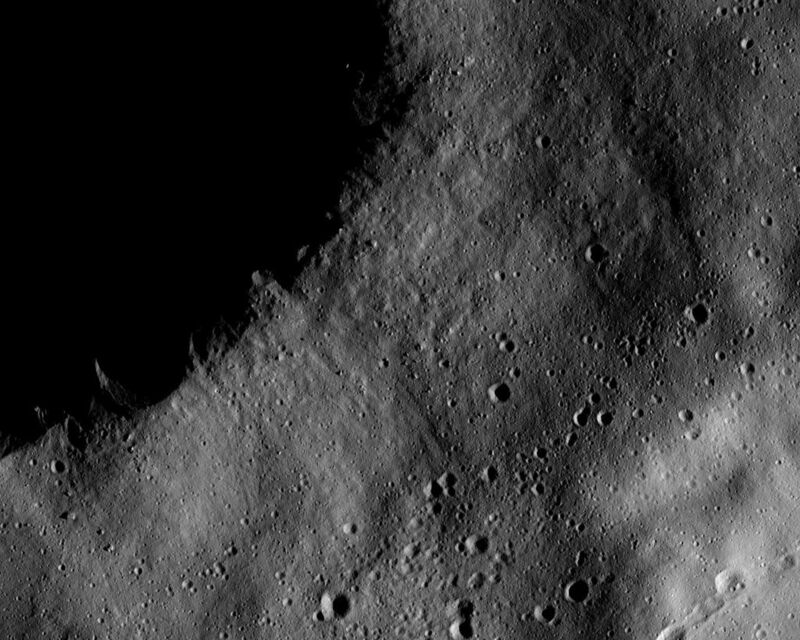 This Dawn FC (framing camera) image shows numerous linear chains and clusters of small craters. These chains and clusters of craters were created by material that was ejected during the formation of a larger crater, which is located far outside of this image. These craters are called secondary craters because they are formed by material ejected from a primary impact of material from space. 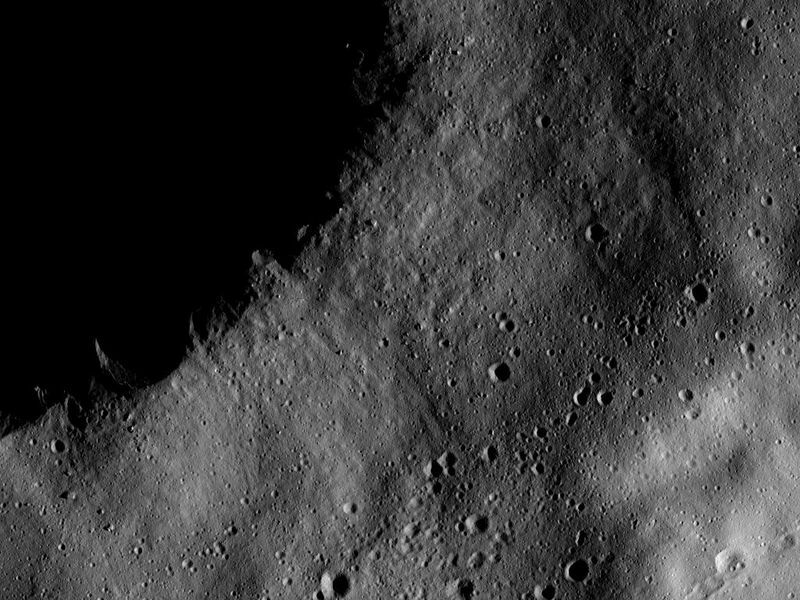 There is a large crater in shadow at the top left of the image. The chains and clusters do not originate from this crater because there are not orientated radially to it, as if they were ejected from the crater. This image is located in Vesta's Gegania quadrangle and the center of the image is 20.8 degrees north latitude, 18.4 degrees east longitude. 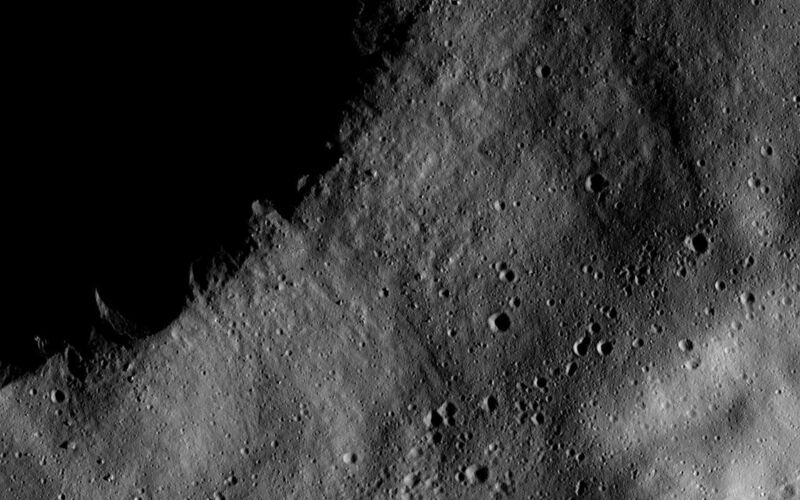 NASA's Dawn spacecraft obtained this image with its framing camera on Dec. 13, 2011. This image was taken through the camera's clear filter. 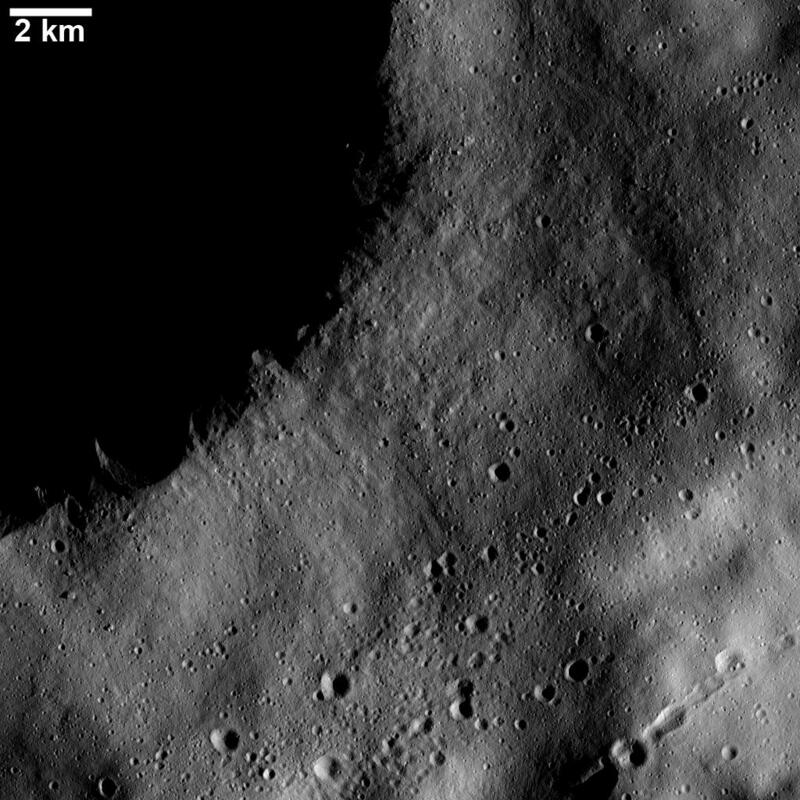 The distance to the surface of Vesta is 196 kilometers (122 miles) and the image has a resolution of about 19 meters (62 feet) per pixel. This image was acquired during the LAMO (low-altitude mapping orbit) phase of the mission.